When my senior pastor told me to order a copy of this book and read it, I wasn't very hopeful. Actually, I was nearly predisposed that this book would be crap. "Why?" you ask. Well, because in my mind, and the minds of many of my friends, the Purpose Drive brand has become synonymous with self-help, fluff, market driven Christianity. "Concoct a purpose statement of your own choosing and market the heck out of it and you will succeed." Not my thing. Rather than read "practical" books that seem to be the fodder most youth ministers, I love to read Biblical studies and deep theology or just plain old good quality fiction. Grudgingly, I began to read PDYM, keeping an eye out for heresy. 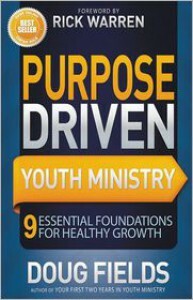 Now that I'm finished with it I cannot vouch for the rest of the Purpose Driven material, but Doug Fields has done a fine job of presenting a program for discipleship driven youth ministry. Over the pass few months I have struggled to adapt to the role of youth pastor. Fields offered me sound Biblical advice on a number of issues that has proved quite helpful. 1. Power of God: helping passionate leaders with pure hearts to rely on God (no heresy here). 2. Purpose: Knowing why your youth ministry exists, writing it out, and putting leadership behind it (Here Fields is careful to stay focused on looking to the Bible). 3. Potential Audience: Identifying your students and their receptivity to your purposes (Basically, he asks you to assess your students' spiritual maturity and church involvement so you better know how to teach them...no real problems here). 4. Programs: Creating programs to fulfill the purposes and reach the potential audiences ["Programs are intended to influence students(not just stir up activity); essentially, Fields encourages reader to know the reason for each program. When I assessed most of the programs in the youth ministry when I arrived, they center on one thing--fun. What about discipleship, evangelism, true biblical fellowship, worship, or ministry? These are the things I'm now trying to keep in mind when my Youth Committee is trying to schedule parties and trips and dinners]. 5. Process: Showing how you intend to move your audience toward spiritual maturity (another way of saying that discipleship doesn't happen accidentally). 6. Planned Values: Identifying the beliefs and styles that will help support the purposes (What are the leader's expectations for how the ministry needs to reflect it's purpose. Let's face it. Every church has values. Some are latent and some are explicit. Takes a look at how to communicate those values to the kids and the servants in your ministry). 7. 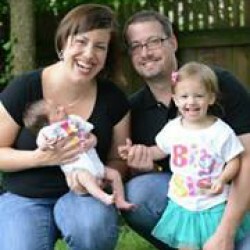 Parents: Teaming up with the family for a stronger youth ministry. 8. Participating Leaders: Knowing how to bring others on board to help fulfill the purposes (Looks at how to select people to help in the ministry and how to keep them accountable). 9. Perseverance: Knowing how to stay focused, remain fresh--and stay alive! Fields does use his Saddleback experience to describe his points (some people have complained that he is trying to lift up Saddleback as the model to clone), but he is quick to say that he is just offering up what he has done as an illustration and often says that churches should do what works best for them. Presently, my youth group is around 20 kids, so many of the examples do not directly apply. However, there is plenty of help here for smaller churches too. There was a bit of market driven approach in a few chapters, but not nearly as much as I would have suspected. Pretty good stuff all in all.